And as damaging as smoking can be to your health, it also has a considerable negative effect on something else—your wallet. Plunking down a few dollars for a single pack of smokes may seem harmless, but the cost of maintaining this habit long-term is anything but. If you’ve never calculated the cost of your smoking, you may be shocked to find out what it adds up to over an extended amount of time. Use this calculator to figure out what you spend in a week, month, and year, as well as over 10-year and 20-year periods. While using electronic cigarettes is touted as being less expensive than smoking, the cost of vaping as well as using smokeless tobacco products also add up to significant amounts. If you engage in those habits, it is worth taking a look at what your monthly, yearly, and long-term expenses amount to. 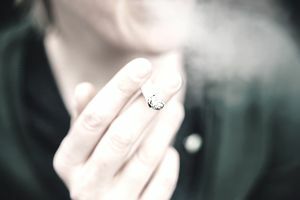 Again, the grip of smoking is tough to break, but you have a lot to gain—both financially and otherwise—by kicking the habit. Fortunately, there are several resources at your disposal to help you begin the process of quitting.